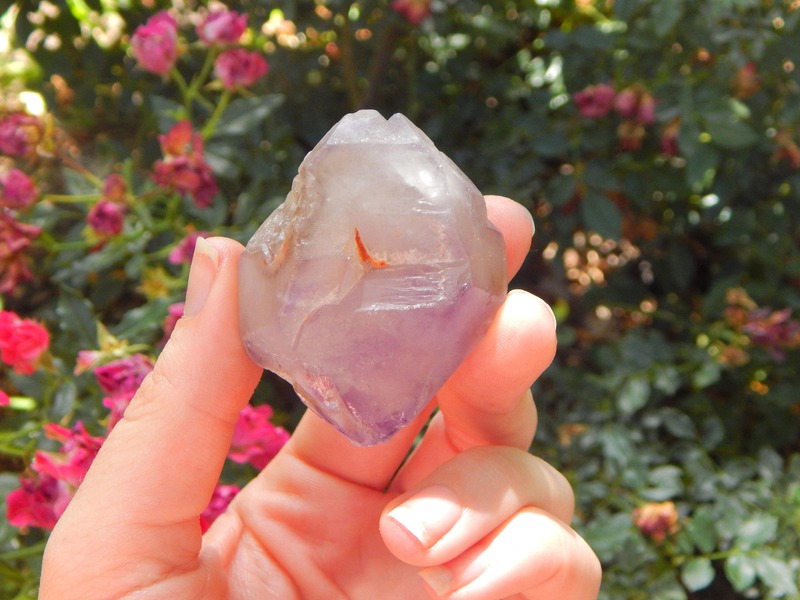 This is one amazing elestial skeletal Amethyst specimen. It weighs in at 91.8 grams. 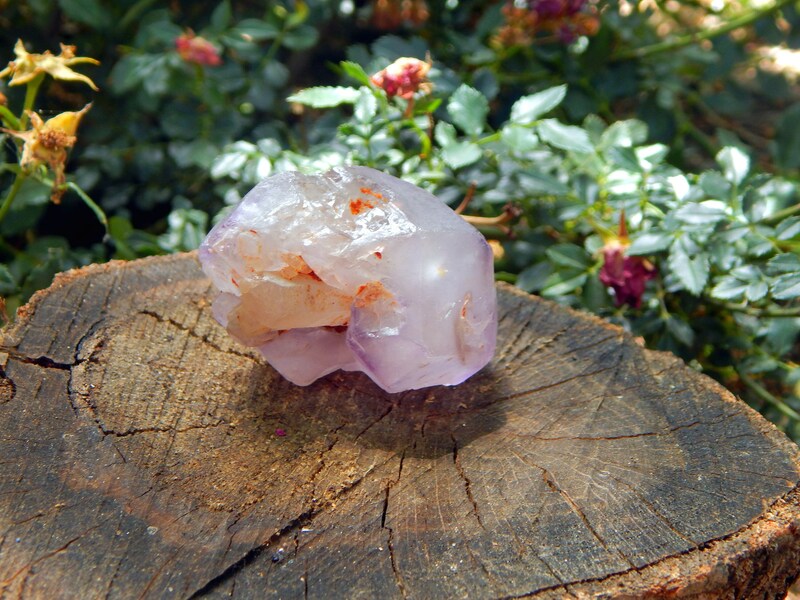 This Amethyst seems to have formed around a termination of clear Quartz, which sticks out of the middle. Even more beautiful in person, with a lovely and soothing vibration. 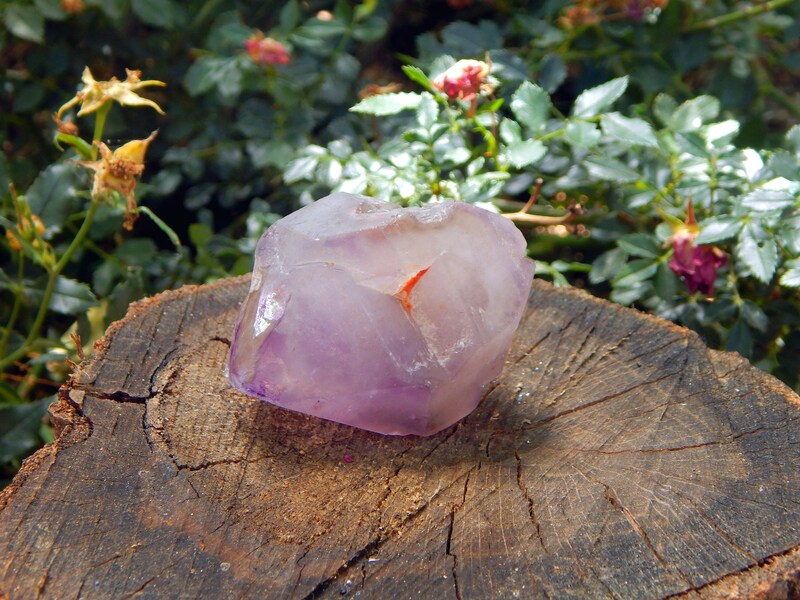 This crystal carries the properties of Amethyst, and skeletal Quartz both. 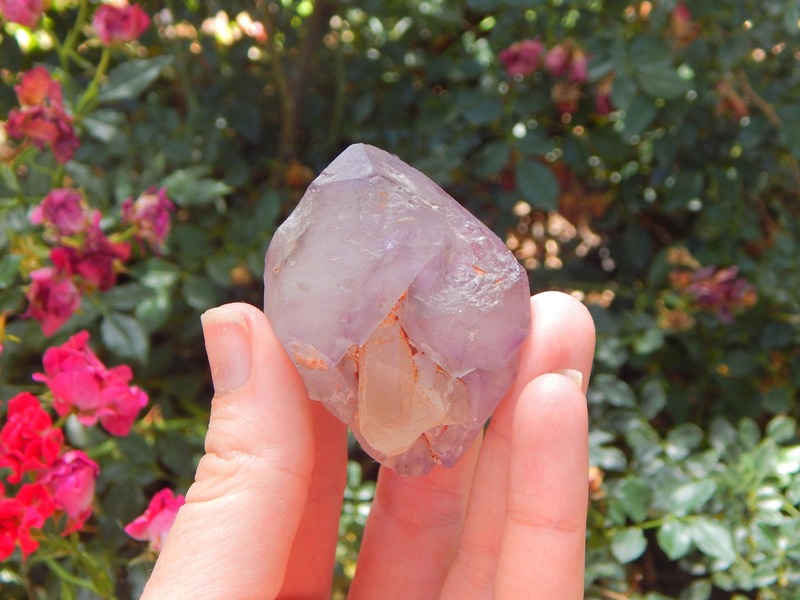 Skeletal Quartz is said to bring a deep spiritual healing energy to reiki practitioners and gemstone aficionados. These crystals are attuned to the vibration of the higher spiritual realms and they will help you to make a stronger connection to the beings there. They are an excellent crystal to keep nearby as they continuously receive spiritual vibrations, which they regulate and attune to the energy of those who are nearby and receiving it. This allows you to receive an infusion of the love and light from the higher realms at a comfortable frequency, the level required for your personal growth and healing, without it impacting you in a way that may be uncomfortable. These high crystal energy stones will assist healing on a deeper soul and karmic level. They are an amazing catalyst for change and are powerful when kept in the room with you. That way they can work on helping to dissolve deep karmic issues, at the level that is comfortable for your own spiritual growth. Elestials are also known as Skeletal Quartz, Alligator Quartz or Jacare Quartz Crystal, the last because Jacare means Alligator in Portuguese, as the reptilian type of pattern in the configuration of these stones is said to have a similarity to the skin of an alligator.